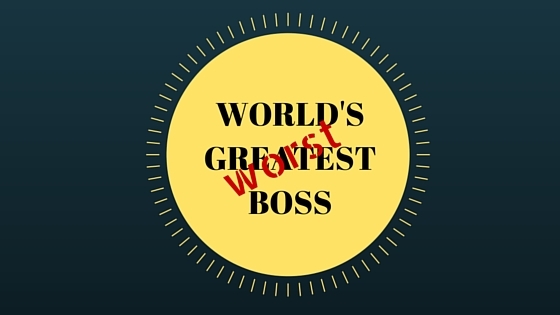 Are You the Boss No One Likes? Here’s How You Can Tell. If you haven’t honed your listening skills and are known for being defensive or critical when employees offer feedback, they could grow afraid to tell you what they’re really thinking — and that’s bad for business. Being hypercritical makes the employees nervous and uncertain about their investment in the organization and ultimately can lead to the downfall of the team. Your entire team could be scared to make a move because no matter what action they take, or don’t take, they hear about it from their critical boss. This is very scary water to be swimming in, for everyone. How quickly can I get my resume updated and get out of here? Do I really need another job before I quit this one? I wonder if she will even give me a good reference. Employees aren’t following up on their tasks (lack of effort). No one is challenging or questioning any decisions you make. They agree with everything you say. No one is taking initiative on their own. They’re scared to get burned if the result was not exactly what you were thinking. Employees become protective over their particular roles. No one wants to muddy up the job descriptions in an effort to keep the delineation of tasks clear. This feels safer. If these scenarios sound familiar, it’s time to asses your management style. 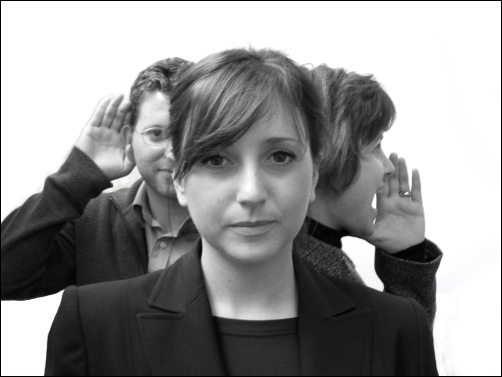 Focus on listening, providing constructing criticism, and empowering your employees (no micromanaging!). It’s not easy to change your habits—and you may have the best intentions—but great leadership is challenging, rewarding, and it takes time to get it right. Who doesn’t need a little inspiration and motivation at their job? When you go into work every morning it’s not uncommon to be thinking about that one co-worker you want to avoid. But instead, what you should be imagining is the employee you work with who inspires and motivates you to learn everyday and enjoy your career. Think back to grade school… your mentor was your teacher. You didn’t get to choose, unfortunately, but if you were lucky to get the “good” teacher, you probably learned a lot. Define what type of mentor/coach you’re looking for. Analyze and write down the skills (technical and/or soft) you need to develop in your work life. It’s best to know first what you need so you’ll know what to look for in a potential mentor and you’ll be able to discuss this with him/her. Pay attention to the employees in your immediate department. This should be pretty simple. You’ll probably be able to tell pretty quickly if anyone in your immediate department is someone you would consider approaching to be your mentor. Ask your manager about other department managers who might be a fit. Depending on who you interact with in your job, you may not be aware of all the managers or higher level employees in your organization. Your own manager knows you well enough to make some suggestions. Do your own company research about the C-Suite. Who says you can’t contact one of the corporate level employees? If you have followed one of these folks on social media and admire their messages, they could be your next mentor. Their time may be at a premium, but you could try connecting on social media and maintain a partly virtual mentorship. You could also acknowledge that their time is at a premium and ask him/her to make suggestions for another potential mentor within the company. A mentor outside of your work is an option as well. This could require a bit more research and investigation with your peers and community. Industry organizations and conferences are great places to rub shoulders with potential mentors. There’s always a deadline looming, right? Some people use deadlines to push themselves and work harder while others become overwhelmed and anxious about meeting them. One way or another there’s always some level of productivity we have to maintain at work. Cell phone: if your job requires you to carry one regularly, your only option is to have it on vibrate or turn it off when you really need to get something done. Hard to believe, but some people just keep it tucked away during their workday and check it only on their free time: lunch. If that’s not you, it could be. Texting: In the ultimate war against productivity, text message notifications can now blast across your computer screen too. But it can be turned off. DO IT! TURN IT OFF! You’re not missing anything. There are plenty of other ways you can be reached. You don’t need every iDevice to constantly interrupt you. The Interrupting co-worker: Try to see this person as someone who will help you exercise your decorum and communication skills. Be kind but brief with them. If they are always appearing at your desk at a certain time, be ready to show your “busy” side. Put on your headphones, mention your impending deadline, and tell them you’ll respond when you’ve finished your work. If you’re feeling nice,you could schedule a specific time or day to chat. Family interruptions: Some of these are super important and others will just seem important—but they’re not. You’ll need to distinguish between the two. Have a back up plan or person who can deal with an emergency in case you absolutely need to get your work done. E-mail: Email allows you to respond at your leisure—so do it! If it’s a work-related email and you can’t respond immediately, send them a message about when you will respond in detail. You can also include some “office hours” written into your signature at the bottom of any e-mail. Meetings: Depending on where you fall in the corporate food chain, meetings can be adjusted. And programs like Skype or Google Hangouts can help make meetings more flexible and be helpful for your productivity levels. Procrastination: This is a tough one! Some of us have a propensity for this. The trick is to know yourself and to know the best times of day for you to produce good work. Use those times wisely by having all your social media turned off and getting in an environment that’s conducive to uninterrupted work. Prioritize your tasks and tic off the A-listers first. There’s a reason why you categorized it as an ‘A’ to begin with. In some situations, patience can be a virtue. For instance, keeping your mouth shut when someone says something you have the perfect comeback for, or waiting in line at the grocery store behind five people with loaded carts. 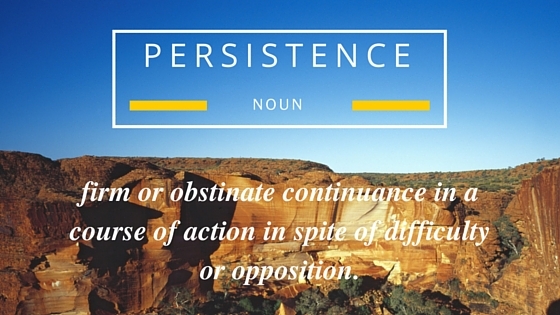 But, when it comes to getting a job, persistence is the virtue you’re going to need. Mold your resume to show crossover skills: Having many experiences in one skill is good, but don’t stop there. Don’t forget about those other skills you may not have used recently, or haven’t realized that you’ve been using all along. Cover letter: This is like sending that handwritten note that noone receives anymore. Anyone who opens a handwritten note feels special when they receive it. Make the HR staff feel special with your customized cover letter! 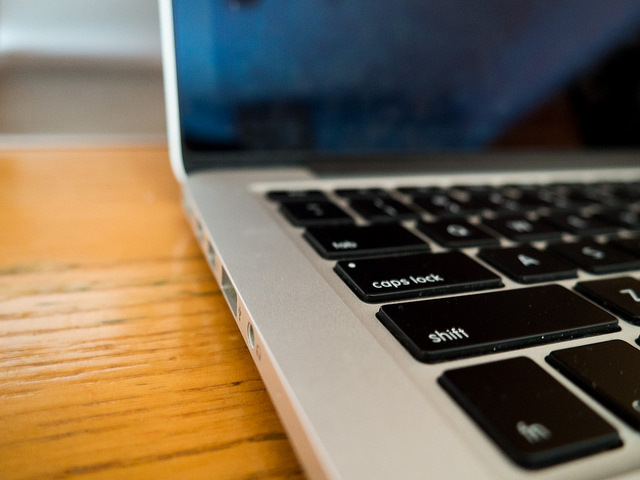 Follow up: In your cover letter or e-mail, include when you will follow up. Next week? Next month? Whatever it may be, make sure you follow up on that day. Network: Build networking into your weekly or monthly schedule. This can include using your a class or workout as an opportunity to connect with people. Networking doesn’t have to only mean attending a “networking” event. Give yourself goals for how many informational interviews you will set up per week. Thank you: Always send a thank you to anyone that has remotely helped you with your job search. It may feel like overkill at first, but look at it as a way for that person to see your name one more time. It could jog their memory and be the ticket into your next position. Join professional groups in your field: Show your potential boss how perseverant you are by joining and attending trade organizations in your field. 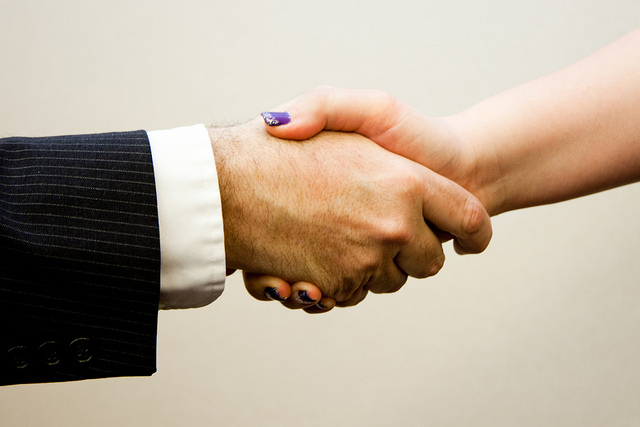 You may just as well land your next interview by networking there. Offer to work on a consulting/freelance basis: Some organizations are not in a place to hire a full-time employee, but they may be able to budget for a freelancer. Remember to consider this in your informational interviews and networking meetings. You texted or called them to set up the initial meeting. NO, no, no! Always e-mail first. This gives the contact a chance to read and respond on their own time. You asked them to meet for coffee waaaaay across town. Make this meeting as convenient as possible for the person. After all, you are asking to give their own time to you for free. What will be the easiest meeting place for THEM? Offer an array of options and ask them to choose. Also, pay for their coffee or meal! They agreed to a meeting and you cancelled. Unless your house is on fire, find a way to make that meeting. You should assume you only have one chance to get this right. You asked the contact for a copy of a presentation you saw them give a week ago. First of all, if you saw it, you shouldn’t have to ask for it. Second, their work is copyrighted and unless you are paying for it (like you would a book), it’s not something you can expect. You played devil’s advocate with them to find out why they did X or Y. Really? This isn’t a journalistic article you’re putting together. Do not question what they are telling you. Take it or leave it, but don’t question it! You never formally thanked them. Stationery may seem outdated, but in this case a thank you mandatory. Send a thoughtful email or handwritten thank you note and make sure to mention something you talked about as a way to personalize it. This is the beginning of a longer relationship if you handle it well. For more tips on how to use common sense when networking, check out this New York Times article. With all the things competing for your attention, trying to get your work done or just keeping yourself focused during a job search is a difficult thing. Social media alone could keep you trapped in an internet loop all day long. Fortunately, there is an upside to the technological direction our world has moved in. There are applications out there that can help you manage your time and keep you focused. Here are some of the most popular and how they work. Stay Focused (free) is an app that allows you to choose the sites you want to keep yourself from. You set the amount of time you want to be able to access those sites and then they are restricted when that time is up. Very customizable. Stay Focused is an extension of Google Chrome. Anti-Social ($) is an app similar to Stay Focused. It also keeps you from social media sites. You can block them for as little as 15 minute or as long as 8 hours. The only way out is to shut your computer down. Time Out (free) is a great app to help you restrict your time spent staring at your screen. It prompts you to take breaks (10 minutes) and mini-breaks (10 seconds to rest your eyes). 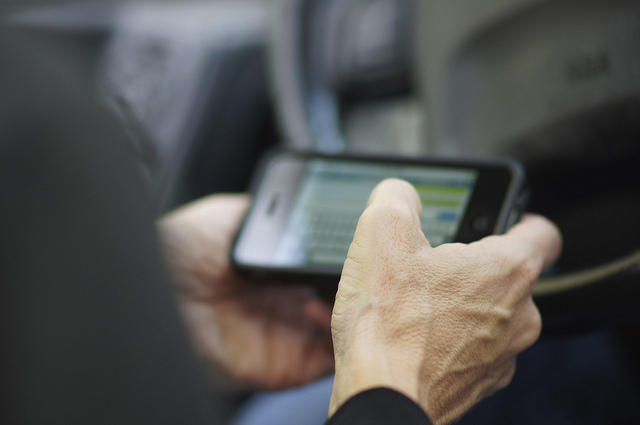 This app helps manage your body’s inability to sit for such long periods of time. Self Control (free) is an OS X application that can keep you from sending and receiving e-mail and block certain websites for up to 90 minutes. You can access the rest of the web, but not those you’ve off limit for a particular period of time. There’s no stopping it once it’s set. You’ll have to wait until the time runs out. Focus Booster ($) is based on the Pomodoro technique, which subscribes to the theory that you can work in 25 minute segments with five minute breaks. This app will also track your time on various projects and help you maintain your work/life balance. It’s good for students, freelancers and consultants. Toggl ($) is a time-tracking app that is good for teams. It can help you see which projects and which clients you spent your time on. Toggle has a free option, but can be upgraded to a monthly fee with more options. Remember The Milk (free) is an app that helps bring together all your tasks from different devices and reminds you of them wherever you are. It can act as your to-do list no matter where you are or what device you are working on. In the workplace, a variety of generations have always worked together to solve problems and produce goods and services. But today’s Millennial generation, the youngest working generation, is analyzed constantly and it’s not always in the most positive light. Millennials have been raised in a much different world than Gen-Xers and Baby Boomers. In a recent article for The Muse, writer Jeremy Boudinet, himself a Millennial, claims this negative press is misguided because it frames Millennials as narcissistic and self-absorbed. He believes instead, that they are “uncertain” and constantly looking for feedback because of the age of fear they were raised in and because they know they aren’t well-liked by the older generations. Are you a Boomer or Gen-Xer who’s willing to offer mentorship? Know that you may not find the Millennials reaching out, given their uncertainty and already entrenched feelings that they are looked down upon by the older generations. Reach out to them. A mentoring relationship works for both parties. The mentee is not the only one gaining in knowledge and motivation. The mentor also reaps rewards by passing down their knowledge and helping in the growth of another human being. For more reasons on why Millennials need this mentorship, read the full article at The Muse.